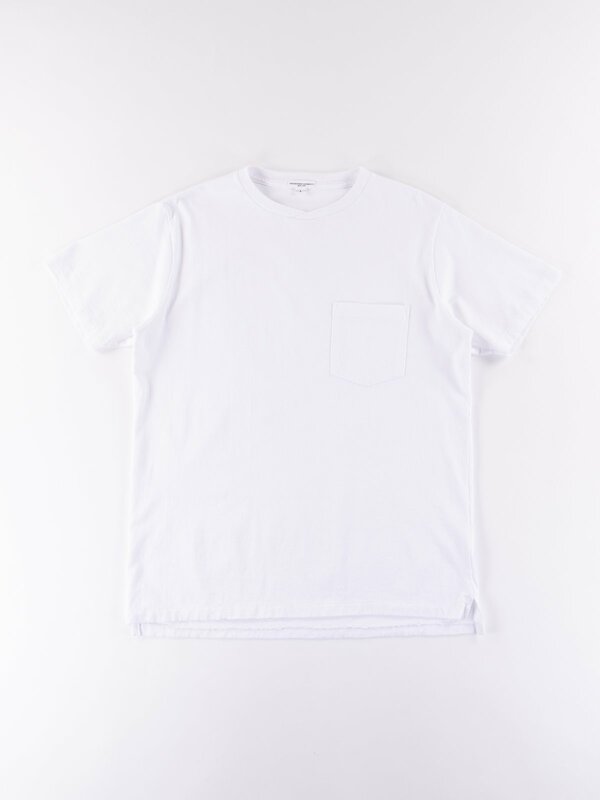 White Crossover Crew Pocket Tee. 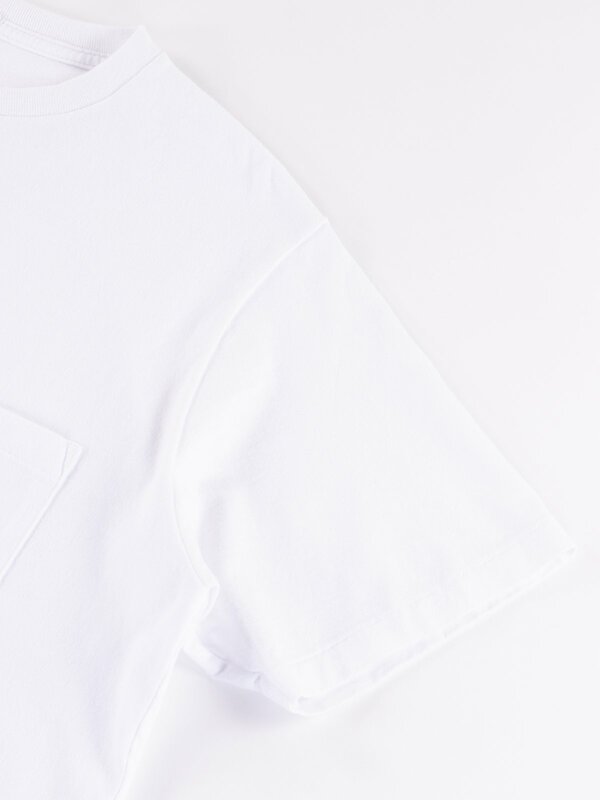 Classic EG tee with a single chest pocket and crossover ribbed collar. Size recommendation – Choose your normal size. 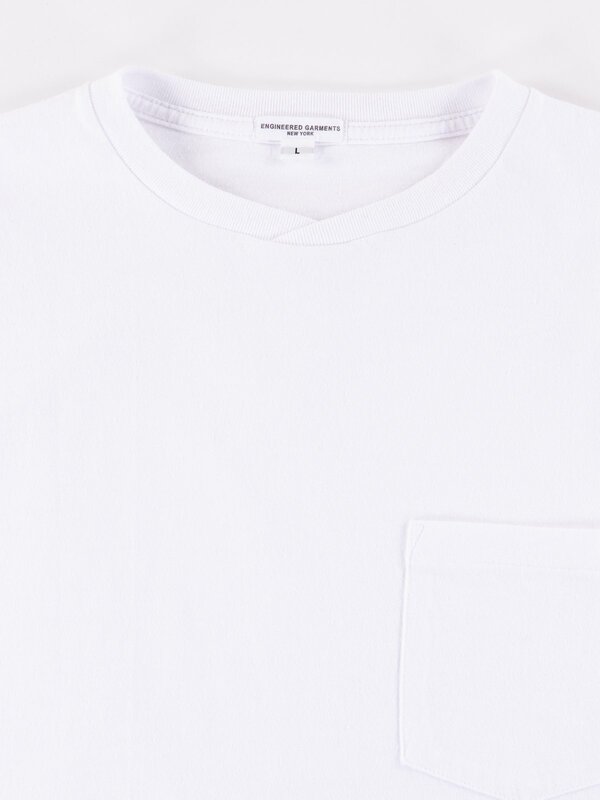 Chest Size – S = 38” M = 40” L = 42” XL = 44”. 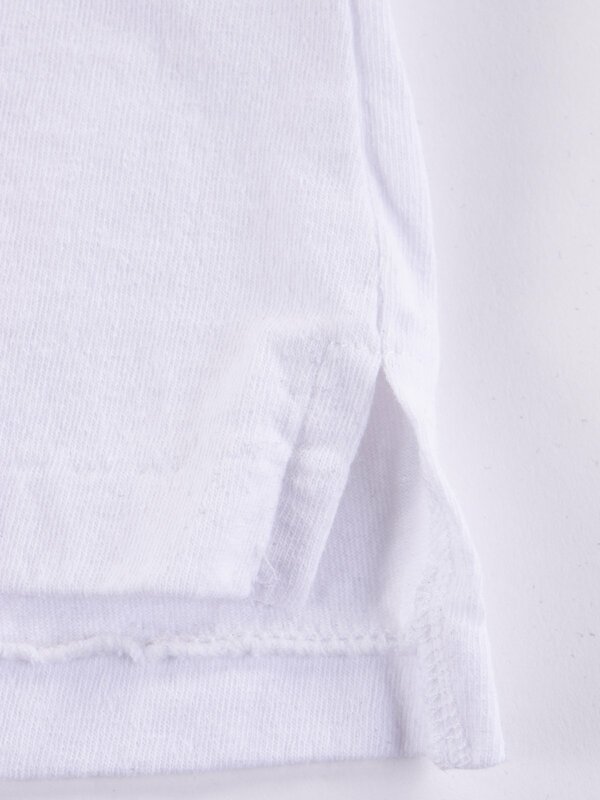 All measurements are made from the garment laid flat and are given below in Inches. 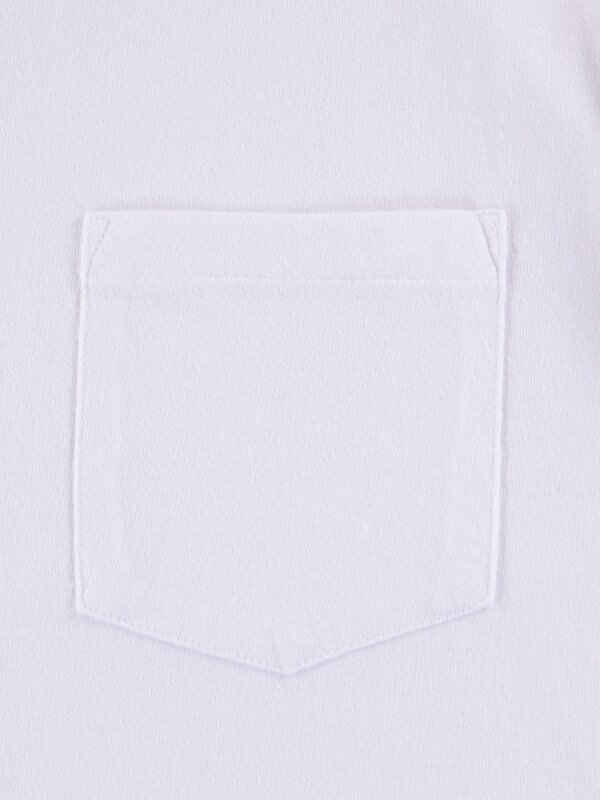 Chest is measured from pit to pit and arm is measured from shoulder seam to end of cuff. If you need any more info please contact us.